On this page, you'll find large sized dogs that are approved for adoption. Please contact Hilda @ 204-422-9070 for listing of Collies up for adoption. Please call (204) 422-9070 for more information about these dogs or complete the application for adoption and email to hlhiebert@gmail.com. 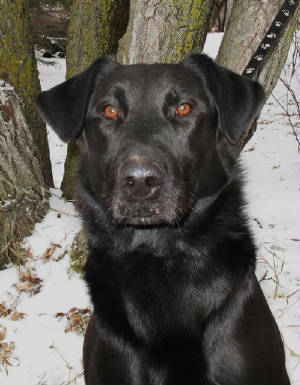 Leo is a 2 year old black lab x. Leo has led a sheltered life and takes a while to get used to new things. He seems to be ok around cats but would need to meet any dogs he would be living with as he is selective in who he becomes friends with. Leo would do best in a quieter home with an experienced dog owner who could help him gain confidence with new experiences. He is neutered, up to date on vaccinations and heartworm negative. He is about 65 pounds. Mikey was born around the beginning of June. He is a black lab x that will be a very large dog. At 4 1/2 months he was already 50 pounds. He enjoys playing with other dogs and seems to be ok with cats. He will need a home with a fenced yard and lots of attention. Mikey would do best in a home with older children as he does not realize how big he is. Please consider adding Mikey to your family. 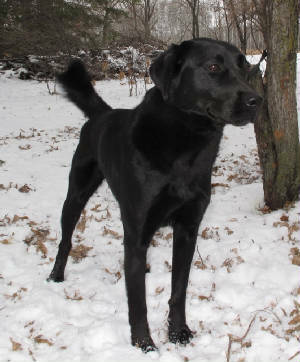 Trooper is a 1 1/2 - 2 year old male black lab x. He seems to get along with everyone he meets, cats, dogs and people. He is crate trained, neutered, up to date on vaccinations, and heartworm negative. Trooper is looking for his forever home. He is about 60 pounds. 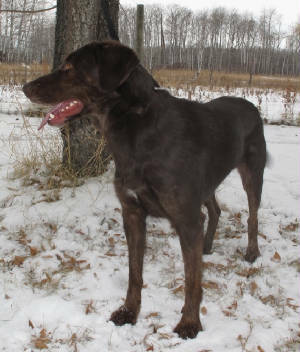 Prince is a 1 1/2-2 year old chocolate lab x. 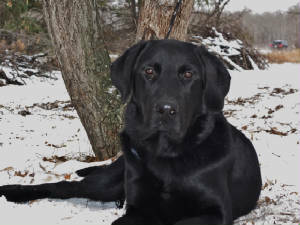 He is an active dog that would do best in a home where he will receive plenty of exercise and some obedience training. Prince should go to a home with no young children and no cats. Prince is crate and house trained and is waiting for someone to come take him for a long walk. He is about 65 pounds. Please consider adding Prince to your family. He would love to go exploring with you this fall. Prince is neutered, up to date on vaccinations and heartworm prevention. 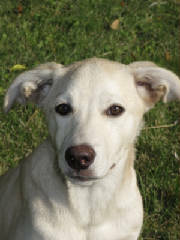 **ADOPTED**Abby is a yellow lab cross puppy. She was born at the beginning of May 2014. At 5 months she weighs about 30 pounds so she will be a medium sized dog. Abby is crate trained, knows how to sit, down, come, and shake a paw. She had also started on housetraining. She loves to play with cats and dogs and seems to like children as well. Abby would love to find a home of her own so that she can grow to her full potential. She is spayed, up to date on all vaccinations and heartworm prevention.